Randy knows the need for creating quality resume tapes for entering the broadcasting industry. He also is aware that on-air talent is not always getting the proper training from their college, news directors, agents or co-workers. Randy attended Arizona State University and majored in television broadcasting and meteorology. Randy has worked for ABC, CBS, Fox and his work has also appeared on CNN, MSNBC, Headline News, Weather Channel, ABC World News Tonight and the Associated Press. ​While working for CBS in Tampa, Randy created his own bi-weekly news segment titled the "Wildside" where he took viewers on amazing adventures. This included wrestling alligators, flying a fighter jet, visiting mountain gorillas in Rwanda, shark diving and uncovering pythons in the Everglades. Randy loves working with talent, helping them find a job and watching their careers prosper. He believes anyone that is very motivated, curious about the world around them and loves story telling, can make it in journalism, weather, sports or entertainment today. Randy Rauch brings years of on-air television experience to American Broadcast Talent. Randy also helps host Florida TV and producing weather forecasts and packages for the show each week. His television production skills and on-air abilities are one-of-a-kind. We are proud to have Randy aboard the ABT team. 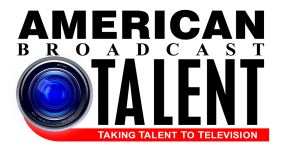 Randy and American Broadcast Talent have assisted more news reporters, news anchors, meteorologists, sportscasters, entertainment reporters and hosts get hired in television business. More than any other service of it's kind.